Friday April 3rd with Mitochondrion, Adversarial, Paroxsihzem @ Hard Luck Bar | Toronto, Ontario. 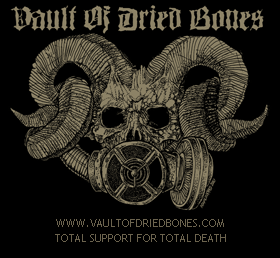 This entry was posted in News and tagged adversarial, death metal, maelstrom, mitochondrion, paroxsihzem, total death, vault of dried bones, warpit of coiling atrocities. Bookmark the permalink.